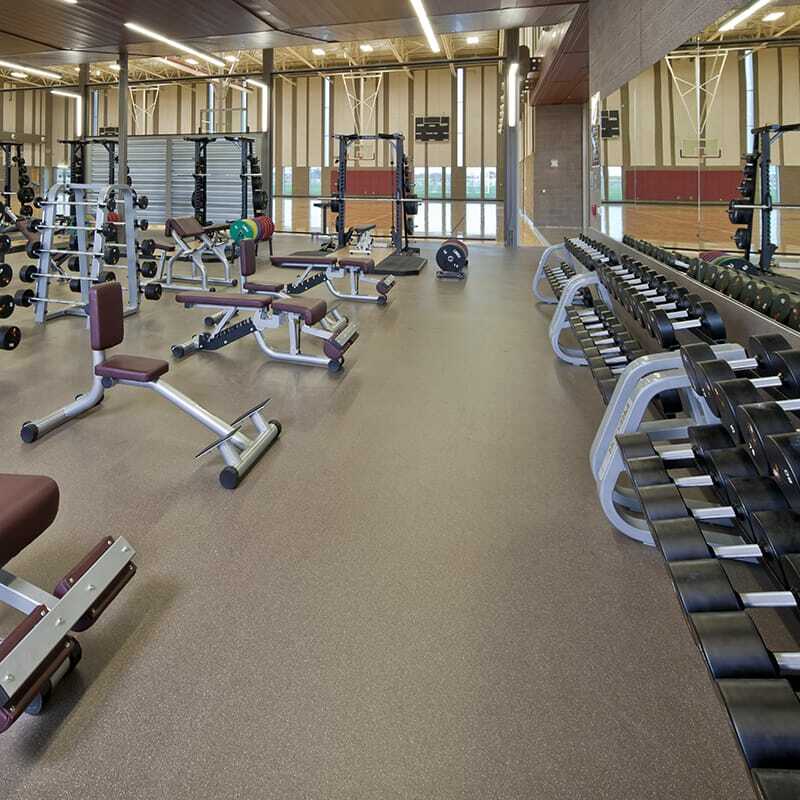 The Sun Devil Fitness Complex is a new two-story 62,000 square foot building that is designed to meet the recreation and health service needs of the Arizona State University Polytechnic Campus. 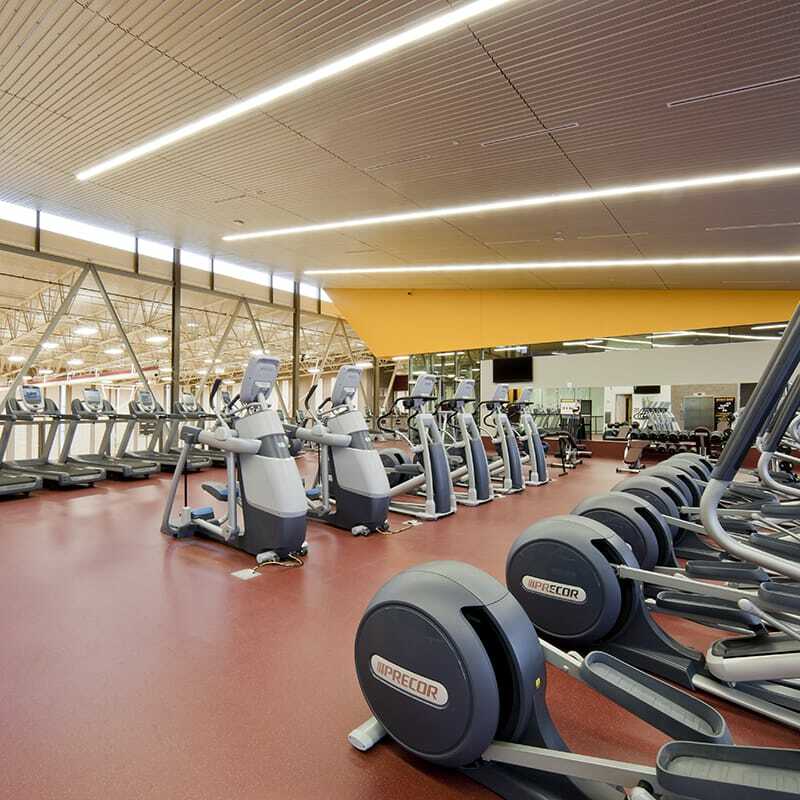 The facility hosts a variety of different recreational offerings with a diversified cardio training area, instructional aerobic class spaces, two gymnasium areas with single and double court spaces, dual racquetball courts that maximize interior and exterior views of the building, an outdoor swimming pool that provides recreation, competition and hydrotherapy options along with locker rooms and full shower facilities. A first floor wellness center offers students related health services with holistic wellness education. 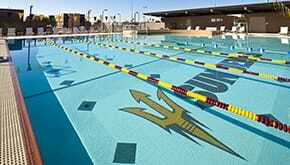 All campus recreational operations are managed from the offices within the facility and included collaboration spaces and conference rooms. Multi-function athletic fields with high efficiency lighting enable 24 hour utilization. The project achieved LEED Gold certification. During preconstruction, our team created a cost model using Gilbane’s CostAdvisor software before the project was awarded based on minimal information from a student inclusion session. Through 20 estimates and trending exercises done over seven months, along with on-going value management, the costs were continually brought back to the established budget. After final scope reviews, permitting, scope changes, on-going program adjustments, and owner-added scope, the guaranteed maximum price was signed within a small 3% variance from the original cost model.